Benedictow OJ. The Black Death 1346–1353: The Complete History. Woodbridge: The Boydell Press, 2004. ISBN 0–85115943–5. 433 pp. Price: GBP 30.00. The impact on society exerted by the Great Plague in the 14th century has been subject to scholarly discussions almost ever since. It has been quite clear that the effects were profound and serious and that the epidemic shook most of the medieval world, but the extent and the spread of the disease has been a matter of dispute. The cause for this is obvious: In pre-statistical ages reliable numbers are scarce. Sources often relate to less representative groups e.g. in cities or from higher social classes, hence making it difficult to extrapolate to the general European population where the overwhelming part was plain folks living in villages or were living scattered on small farms in the countryside. And plague was not the only ravaging disease and cause of death. There are several studies dealing with the cultural effects of the great plague, and among economic historians the redistribution of property following its massive death counts is a core issue. But again, conclusions and general bearings depend on the source situation and the hard facts which can be extracted from them. Besides that, the scaring experience of a contagious disease gives origin to contemporary, yet long living myths and be- liefs. Still, in the 14th century mechanisms for spread of epidemics were mostly unknown. Observations, explanations and fiction were mixed up with religious and political thinking.Also in Norway the modern debate about the plague has been vivid. On the local Norwegian scene an interesting question has been how the Black Death influenced the demographical development in the centuries to follow. Around 1980, the Norwegian historian Ole Jørgen Benedictow joined the discussion and has had the history of plague as his main interest and research arena throughout his entire career. His 1992 doctoral dissertation (1) dealt with this topic, and he has also written extensively on adjacent demographic principles of the period in «The medieval demographic system of the Nordic countries» (2). As an appetizer to his present book should be read his article «The Black Death: The greatest catastrophe ever» in History Today (3). What professor Benedictow has done, and what distinguishes his book The Black Death 1346–1353: The Complete History from most other histories of plague, is that he has attempted to dig himself down to the hard facts, to the real epidemiology of the disease in a broad perspective, i.e. to how the disease swept like a scourge over the whole range of countries affected. As a base for his following geographical considerations, part one of the book penetrates what bubonic plague really is like. Being primarily a disease of animals, a disease hurting rats and spread by rat fleas, secondarily infecting and killing humans, often at a horrifying pace, plague has specific traits which identify it epidemiologically from other common and dangerous infections. An example: Rat fleas do not like low temperatures, a fact which explains that plague epidemics as a rule do not occur in winter time. Applying his epidemiological knowledge on the nearly uncountable sources he has consulted for the different regions, he writes the geographical history of the Black Death country by country in a series of chapters in part two of the book. Much detailed information is presented; e.g. for Norway there are clues that the myth about the ship landing in Bergen in 1349 bringing the plague to Norway is too simple an explanation for the outbreak of the plague epidemic. Claims Benedictow: Norway was hit by the Black Death already in late 1348 when the disease was imported to Oslo; only the winter prevented a further spread that year. In part three the author sums up the patterns and dynamics observed when studying the Black Death, while the fourth part discusses the mortality in the Black Death. Here, Benedictow addresses core issues in medical history. There is a permanent quest among medical and social historians for reliable mortality figures: How many were really killed by the plague? This question cannot be answered without thoroughly discussing the tricky source situation. At the same time the results have to be put into the general pattern of medieval demographics. E.g. : Perhaps the real effect of a disease like plague will be underestimated or blurred in the historical sources when looking at the death figures, if there at the same time is a natural increase in population going on. For Norway, this is interesting when discussing the effects of plague on the late medieval population decline, for the centuries after the Black Death. Case studies from districts in Europe where acceptable figures for mortality may be worked up, indicate that around 60 per cent of the population died. If the European population is estimated at 80 million at this time, it means that around 50 million were swept away by the Great Plague. This fact makes it more than appropriate to name the Black Death «the greatest catastrophe ever» (3). However, Benedictow argues that in spite of the dramatic death toll in the wake of the great plague, the subsequent minor epidemics did not reduce the European population so much; their effect was more to stem the population growth. Part five of the book: «The Black Death: Its Impact on History» is short, only counting eight pages. The chapter takes up the main points of this vast topic. Here, additional literature should be consulted. Benedictow ends his book with a 19 page bibliography and an extensive index. It is no doubt that this book will attain a lasting standing as a reference in the plague history literature. The facts presented will serve as a base for further work and as a point of origin for discussing previous literature. However, this reviewer has an objection, comments to a point which should have been discussed in more detail between the author and the publisher: the title of the book: «The Black Death: The Complete History». 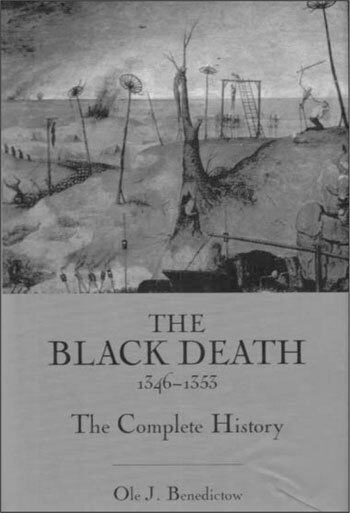 The contents, essence and scientific asset of this book are its description of «the epidemiology of the Black Death». This should also have been the title. 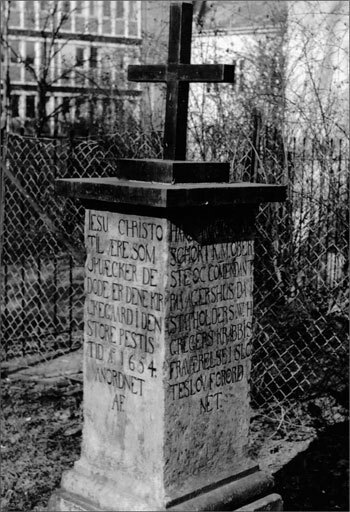 To establish an epidemiological overview of the spread of medieval plague has been the commitment of the author for decades. In this field he has few competitors. The title of the book should have indicated that, securing that the bibliographic search engines of the modern scientific world would grasp it immediately. But there is another point too: The subtitle «The Complete History» confuses. It is interesting that the author himself obviously feels a need for bringing a sort of precision of or a disclaimer to this expression in the preface. The book is not complete in the meaning that it covers all aspects of the Black Death with the same depth, as its intention is to concentrate on epidemiology, which it does. Therefore, by adding the present subtitle, the author may contract criticism which is unjust. The book also does not complete the history of plague in that respect that it is nothing more to say. On the contrary, this impressive piece of work by Benedictow, summing up nearly a life time of dedicated research, will draw new attention to the topic and stimulate further studies in the field. Benedictow OJ. Plague in the late medieval Nordic countries: epidemiological studies. Oslo (diss.) 1992, Oslo: Middelalderforlaget 1992, 1996. Benedictow OJ. The medieval demographic system of the Nordic countries. Oslo: Middelalderforlaget, 1993, 1996. Benedictow OJ. The Black Death: The greatest catastrophy ever. History Today Vol 55(03) March 2005, 42–9.